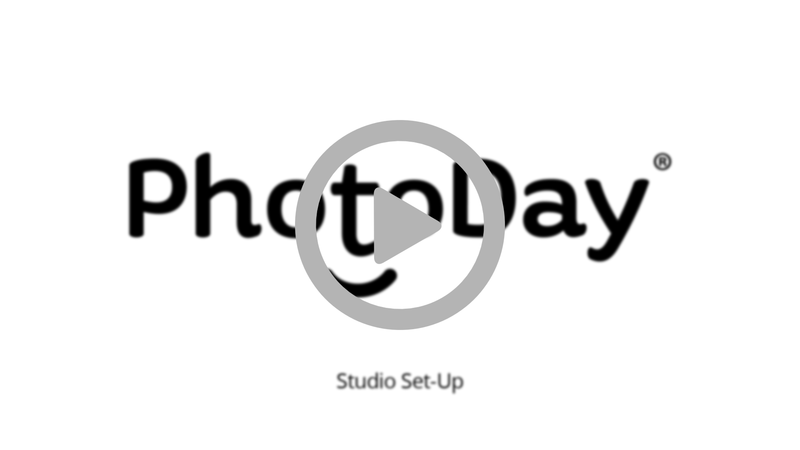 Here, we help you get started setting up the basics for your studio in PhotoDay. Welcome to PhotoDay! I’m sure you’re psyched to get going, so let’s go ahead and get your studio account set up and put you on the way to transforming your business. First thing’s first - after you log in - notice how your password was just a string of random characters? We recommend you change it to something you’ll actually remember. To do this, simply go to your account page and enter your current password, followed by your new password. Click save, and you’re all set on that front. Next, you’ll need to set up your studio with all your vital info. To do that, just go to your studio settings and fill out all the basic, usual stuff like your studio name and address. On this same page, you'll add your watermark logo. After uploading it, you can customize how it’ll appear on your photos by selecting where on the photo you want it to appear, and its opacity. Once you're totally satisfied, go ahead and click save. Well, that was easy! You’re now well on your way to using PhotoDay. Check out the next article in this series to learn how to set up your storefront.